Lucky bamboo, or Dracaena sanderiana, is part of the lily family of plants (Liliaceae) and can grow in water without soil, although it does better when planted in a soil-based medium. It prefers indirect light and temperatures between 60 and 80 degrees Fahrenheit. 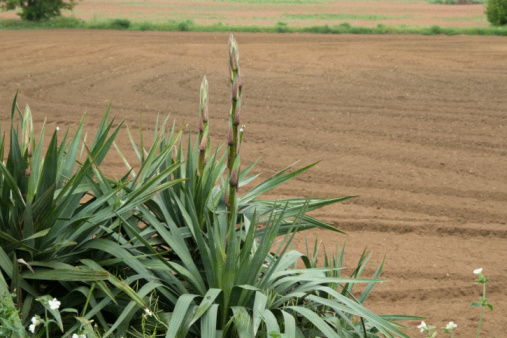 Since the lucky bamboo does not bloom, you can propagate it at any time. 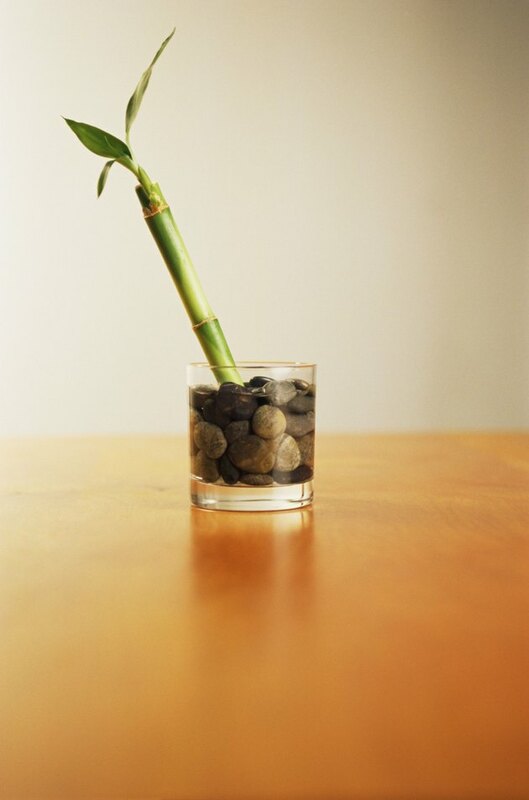 Place small stones in the vase of water to anchor the plant in place. Cut the top from a healthy lucky bamboo plant. The cutting must be at least 6 inches long and have at least one node in the middle. Cut at a 45-degree angle with a sharp knife or sharp pruning shears. Place vertically in a vase or pot with distilled water. You can also lay the plant down on a tray with moist soil. You must use distilled water, because lucky bamboo cannot tolerate the chemicals commonly found in tap water. Place the plant in indirect sunlight. Change the water every two weeks to prevent algae or mold growth or keep the soil moist, if you use soil. Once the root system has formed, you can plant permanently either in a vase of water and rocks, or in moist soil.